In high school, I earned an A in Mr. Finn’s typing despite the fact that at the end of the year I was still using the hunt and peck method. My mother, who had worked as a secretary until my younger sister’s birth, typed all my papers starting in fourth grade through high school. When I was in college, many of my professors accepted handwritten assignments because my printing was regular, legible, and even elegant. When typing was required, I paid an administrative assistant in the Anthropology Department to do it for me. 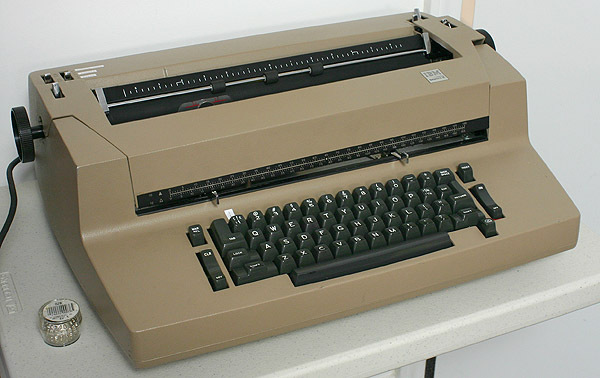 As the first person in my family to go to college, aside from my mother’s two years at secretarial school, I had a fear that I would get stuck in the pink collar ghetto typing other people’s writing. I would never have said that I wanted to be a writer, because although writing poetry and stories was something I had always done since I could read, being a writer was too outlandish an ambition to admit even to myself. Growing up I knew women who were teachers, nurses, and secretaries, but no writers. I followed my heart, however, and ended up enrolled in the Writing Division at Columbia University for a graduate degree in poetry, the least lucrative form of writing possible. When I arrived in New York, I registered at a temp agency and the first thing they required was a typing test. I scored, if I remember correctly, a miserable twenty words a minute because of all the mistakes I made. So they sent me to stuff envelopes with elderly volunteers at the Combined Jewish Philanthropies. A few weeks later, through a connection in the Writing Division, I was offered a job working as a part-time assistant for writer Susan Sontag. These were the only two entries I found in my journal about the typing problem and Susan Sontag. But I remember how stressful it was sitting at her desk with her standing behind me peering over my shoulder as I typed on her IBM Selectric. The more nervous I was the more mistakes I made, and although I believe she liked me and was trying to be her approximation of kind, her exasperated comments were withering. I signed up for a typing class at a secretarial school in the basement of the New York Penta Hotel across the street from Madison Square Garden. Under the glare of fluorescent lighting in a room filled with rows of IBM Selectric typewriters humming and clattering away, I finally learned how to type. Soon I was able to produce a sentence without looking at my hands and with no mistakes: “The quick brown fox jumps over the lazy dog.” Without that skill, I can’t imagine how I would ever have been able to write my first novel.